OTTAWA—Cellphone customers will be able to leave their contracts after two years without any early-cancellation penalties under a set of new rules unveiled Monday by the CRTC. But the Canadian Radio-television and Telecommunications Commission didn’t go as far as an outright ban on the controversial three-year contracts that are so widely hated by many Canadians. Instead, customers will only have to pay the remaining value of the device subsidy if they opt out of their contracts after two years. That means if a customer bought a $600 phone for $99 on a three-year plan, they only have to pay the remaining balance on the device itself to get out of the contract early. “We didn’t focus on the length of the contract, we focused on the economic relation,” CRTC chairman Jean-Pierre Blais said in an interview. In the lead-up to public hearings held earlier this year, the CRTC said it heard a lot of angry comments about three-year contracts. The regulator also had a backer in the federal competition bureau, which supports measures to limit contract length. “What we were concerned about was ensuring that there was a dynamic marketplace; that is, that people didn’t feel entrapped in their contracts when they want to maybe use the offer of a new entrant or a competitor across the street,” Blais said. 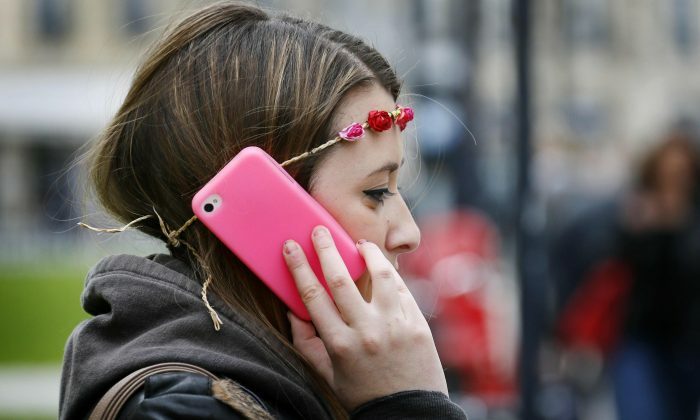 Many of the new rules are already followed by Telus, a senior executive said. “At Telus, we have been making a genuine effort over the past number of years to listen to our customers and respond with significant improvements,” David Fuller, Telus’s chief marketing officer, said in a statement. “As a result, we already do a lot of what is in the new code.” Telus has already replaced cancellation fees with a device balance, he added. Rogers also said it already does many of the things that will be required under the new code. However, a senior executive cautioned the company may not be able to put in place the technology and systems by the CRTC’s December deadline. “When you’re a big company with big IT systems—or for that matter, a small company with small IT systems—these things typically take 12 to 18 months to implement, and the CRTC has given us six months,” Ken Engelhart, vice-president of regulatory at Rogers, said in an interview. Shorter contracts could also mean cellphone companies might offer smaller subsidies on devices—meaning customers might pay more up front for their phone, Engelhart added. Bell spokesman Paolo Pasquini said the company already provides customers with ways to avoid signing a long-term contract, and warned a two-year time frame could end up limiting their options. An industry group welcomed some aspects of the new code. “The CRTC has done its best to find a balanced approach for both consumers and service providers,” Bernard Lord, head of the Canadian Wireless Telecommunications Association, said in a statement. However, the association raised concerns about customers being able to walk away from the wireless contracts after two years. “One area of concern to the industry is the code’s requirement of a 24-month amortization of wireless device subsidies,” the group said. But the news that wireless customers will be able to cancel their contracts after two years without any extra penalties was welcomed by at least one consumer group. “The wireless code has rules to help wireless customers where it counts—the bottom line,” John Lawford of the Public Interest Advocacy Centre said in a statement. The ability to walk away from a wireless agreement after two years is one of several provisions aimed at appeasing consumers in the CRTC’s new set of national standards for the content and clarity of cellphone contracts. The CRTC is also capping extra data charges at $50 per month and international data roaming charges at $100 per month to avoid huge, surprise bills. The regulator will require providers to allow customers to unlock their devices after 90 days, or immediately if they pay the full amount of the device. Customers will be allowed to return their cellphones within 15 days and specified usage limits if they’re unhappy with their service, and they will also be able to accept or decline any changes to two-year contracts. The regulator is also requiring companies to produce contracts that are easy to read and understand. The code—which all service providers in Canada will have to abide by—will apply to new wireless contracts starting Dec. 2. Treasury Board President Tony Clement said it’s “perfectly reasonable” for the federal government to step in with new regulations for cellphone companies. “Even though I’m a free enterpriser, I know that you’re dealing with a situation where you have three or four big carriers who rule the roost,” Clement said.